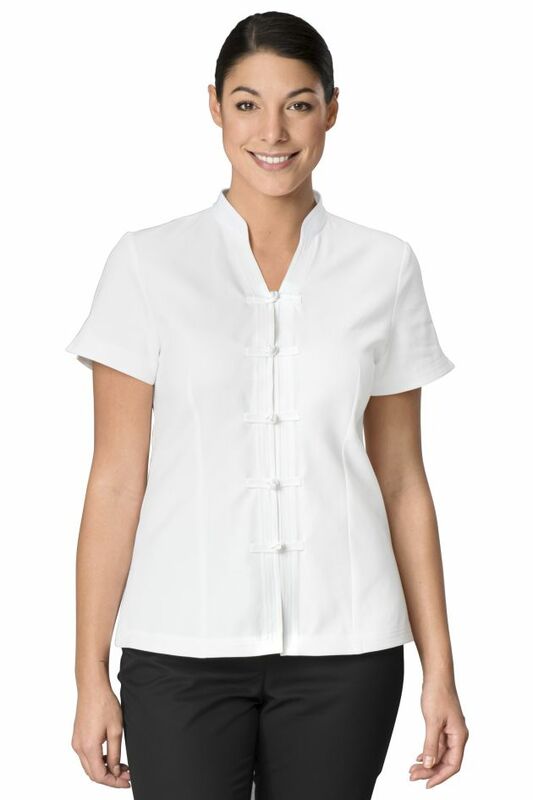 Women's blouse. 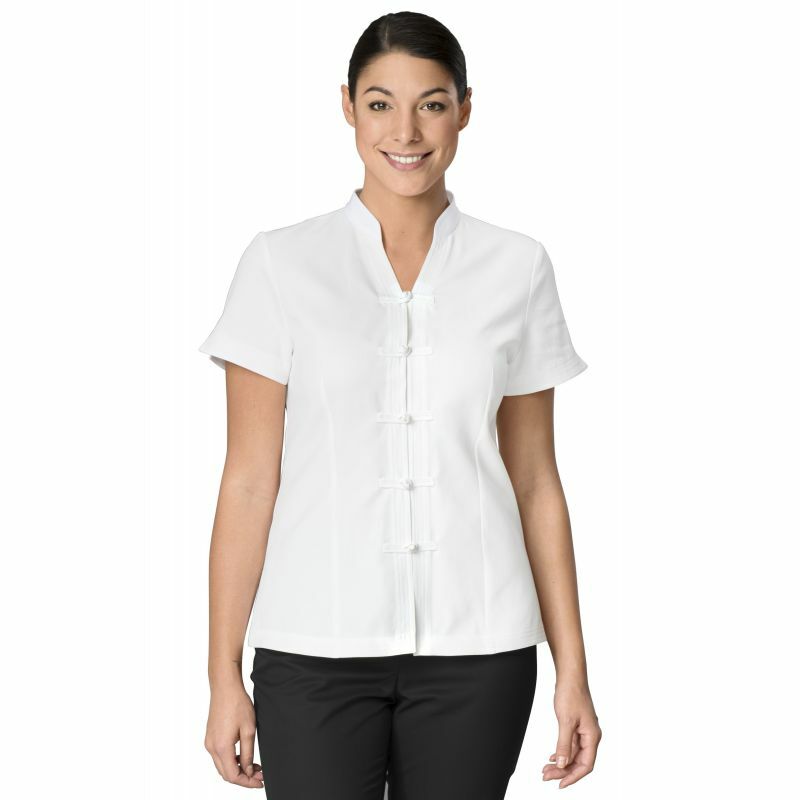 Mandarin collar with double topstitching. Short sleeves. Knot buttons with loops. Waist darts front and back. 2 side vents. Length 63 cm. 100% cotton, White.